The mint growing in Duc's indoor herb garden is out of control. We have to trim it back every week or so because it threatens to wind around existing plants. How intrusive is that! 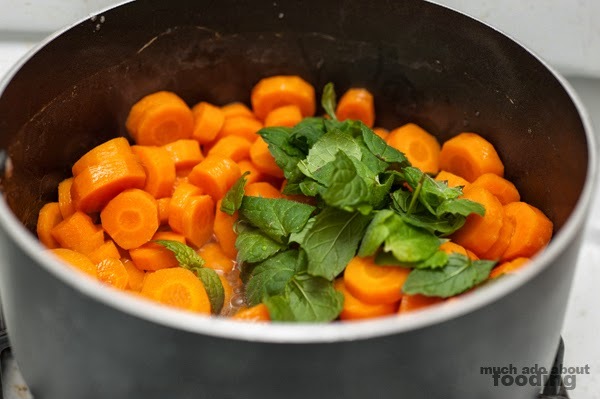 The easiest fix is to make mint a staple of some cooking and when you pair that with the lovely bunch of carrots my boss gave me one random weekday from her garden box, you have a tasty side dish waiting to happen. This one is very simple and does not require much work. 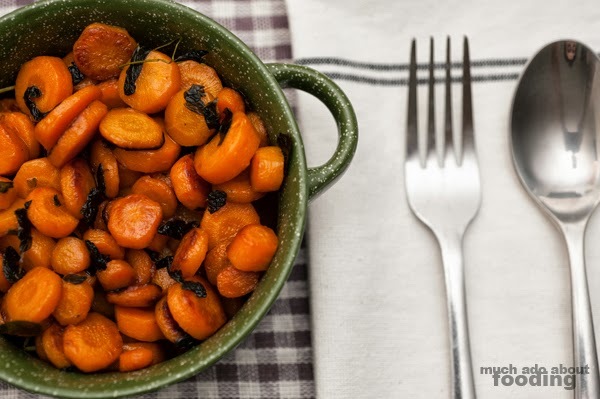 Give the recipe a try yourself! 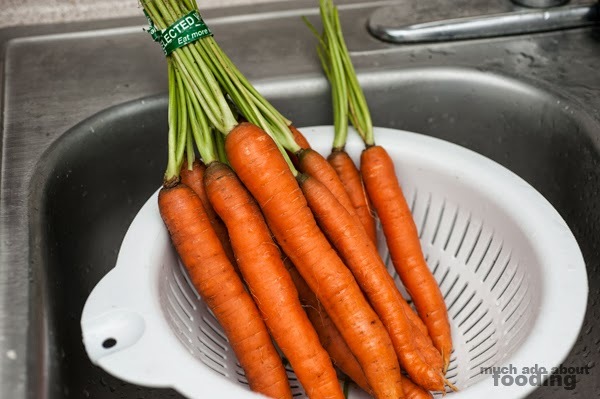 Peel carrots if so desired, and slice accordingly. Roughly chop mint leaves and stems. In a medium saucepan, heat up butter and sugar. 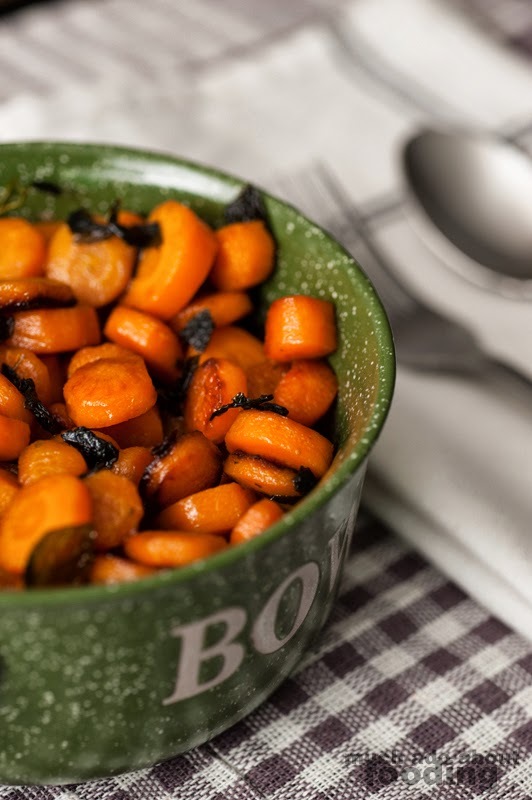 When hot enough where the sugar has mainly dissolved, add in carrots. 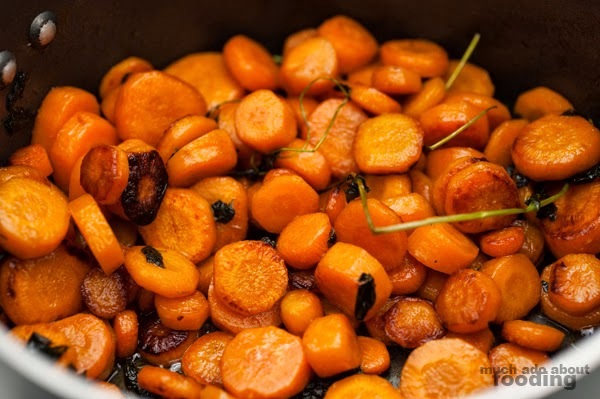 After about 5 minutes of glazing the carrots, add in mint. Stir together frequently, making sure the butter and sugar glaze covers the carrots. 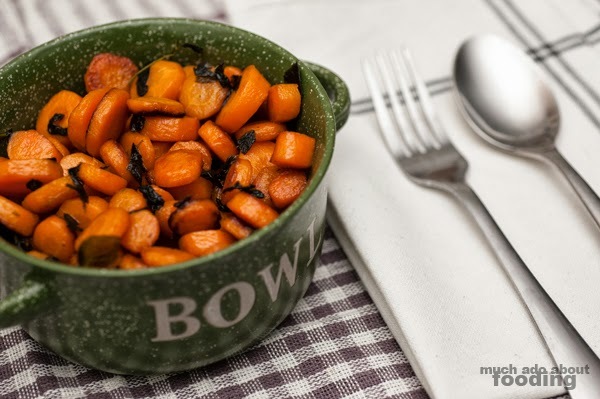 Remove carrots when starting to brown around the edges and serve!